TRS has defined together with TR3B, the parameters of their collaboration regarding the distribution of the new trial motorcycle in the French market. TRS and Philipe Barletier (TR3B), have designed the parameters, concerning the launch of the nextcoming trial motorcycle designed by Jordi Tarrés. 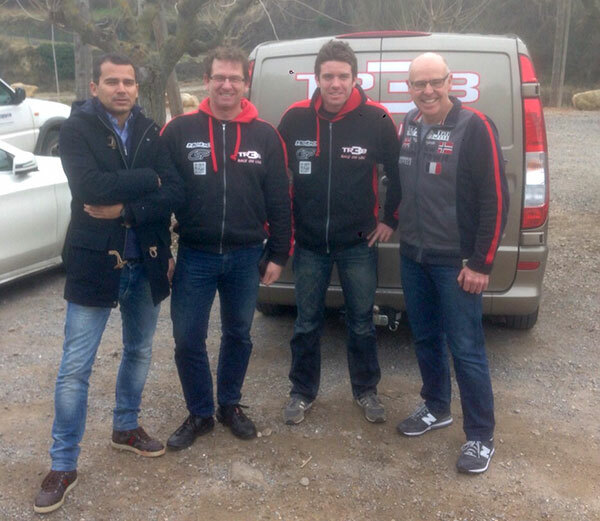 TR3B, is a company managing actually a wide portfolio of brands linked to trial and enduro, leaded by the former French champion Philipe Berlatier, who has followed the creation of the new TRS since its real beginning, holding a close relationship and a strong presence in the racing field through his company TR3B. Philipe Barletier visited the new facilities of TRS Motorcycles in Manresa (provine of Barcelona) late January and had the opportunity to test the prototype that the brand has ready since the beginning of this year. These parameters have been the first brick placed by TRS on a more comercial sense right after a year and a half of pure technical developement.